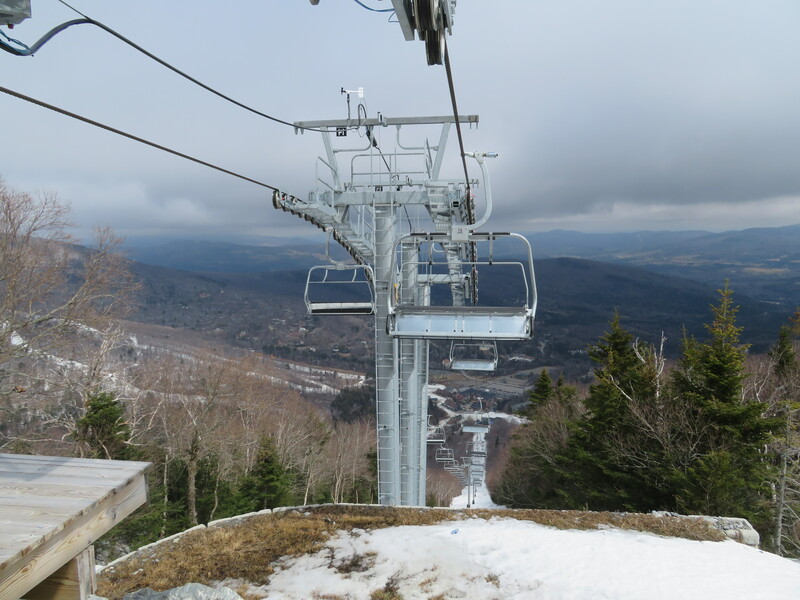 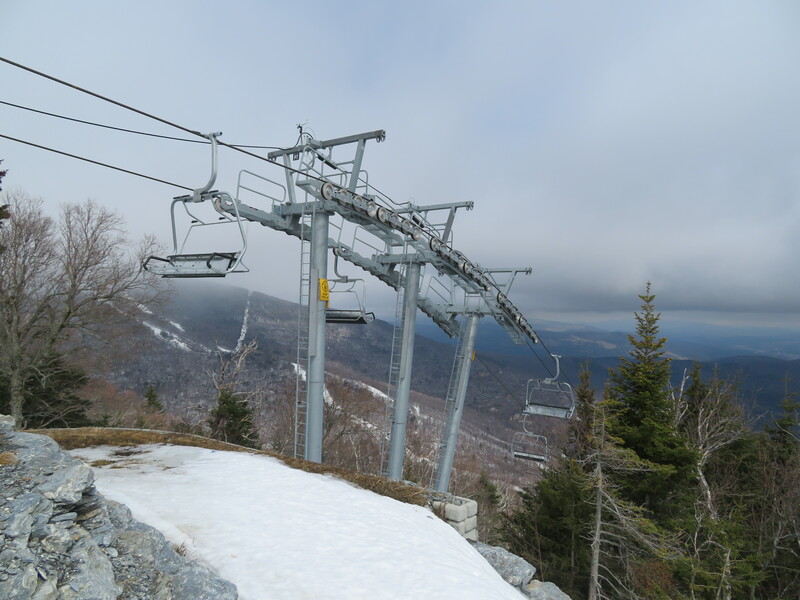 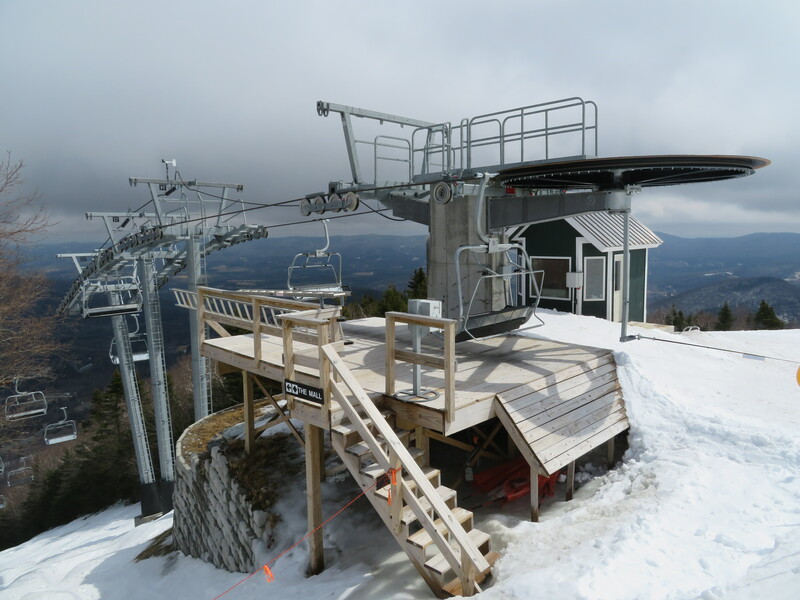 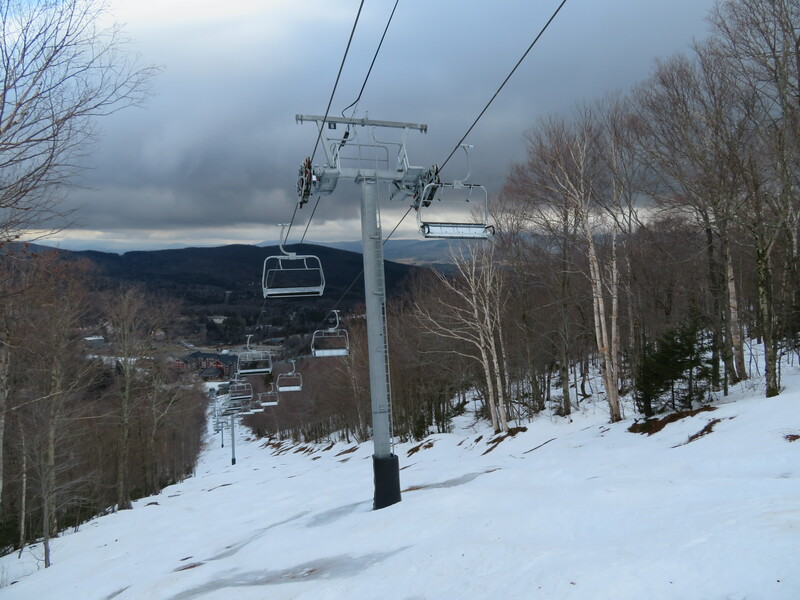 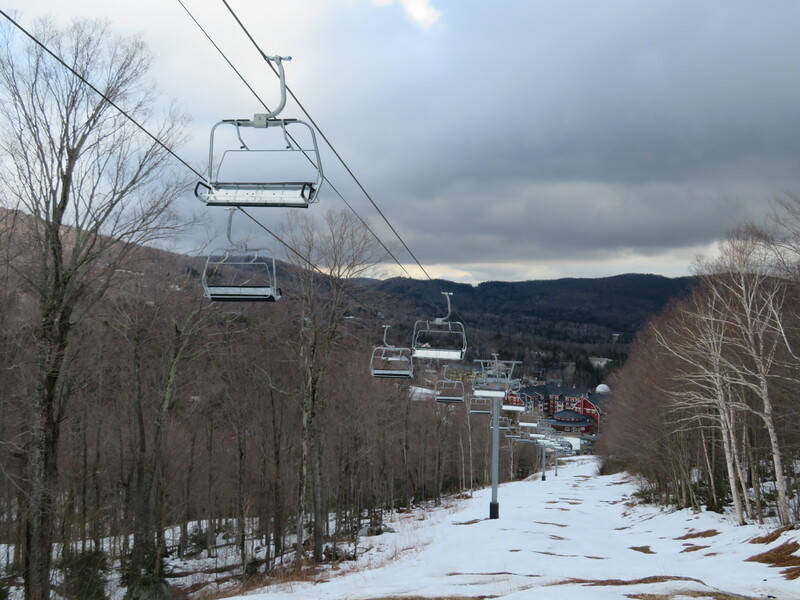 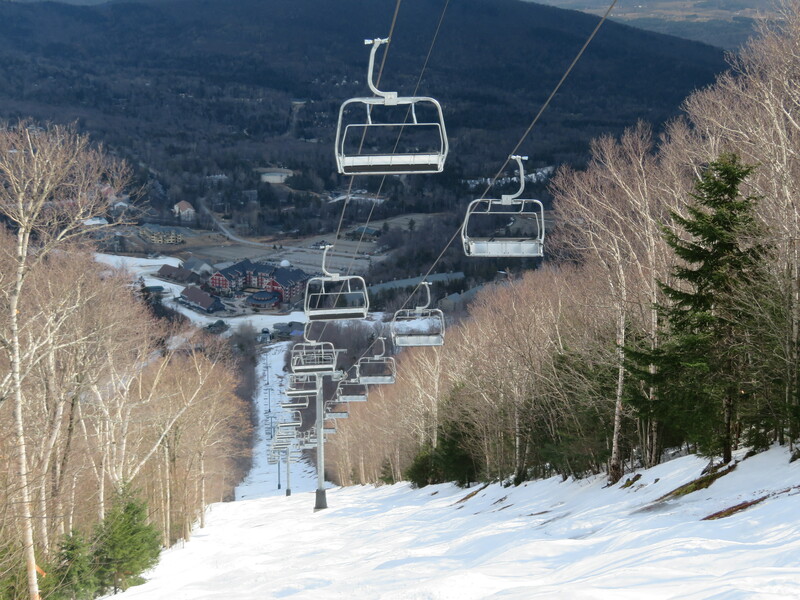 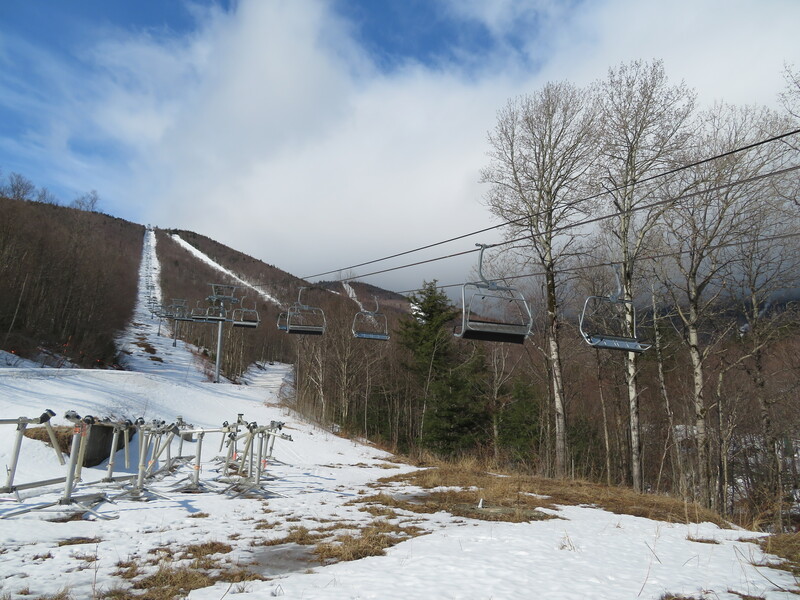 This Doppelmayr fixed-grip quad is one of three built at Sugarbush between 2015 and 2017. 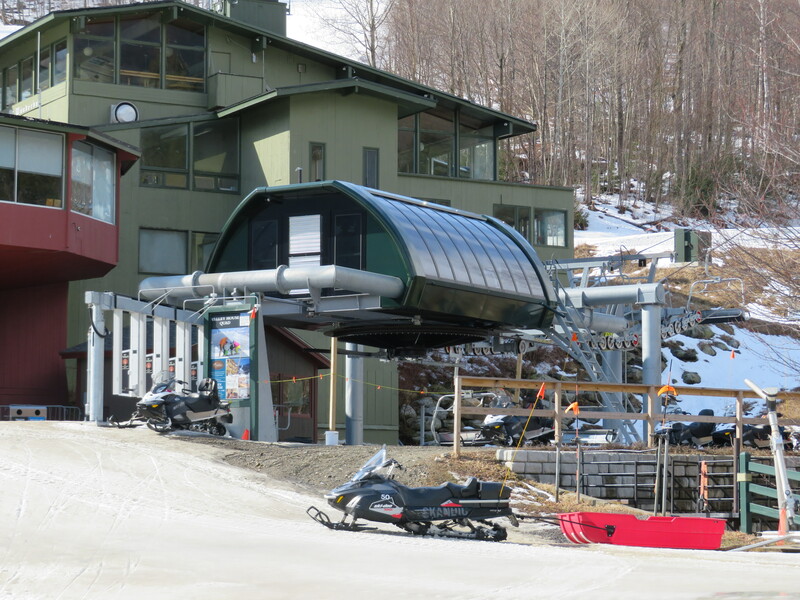 The lower terminal is a Tristar model with loading carpet. 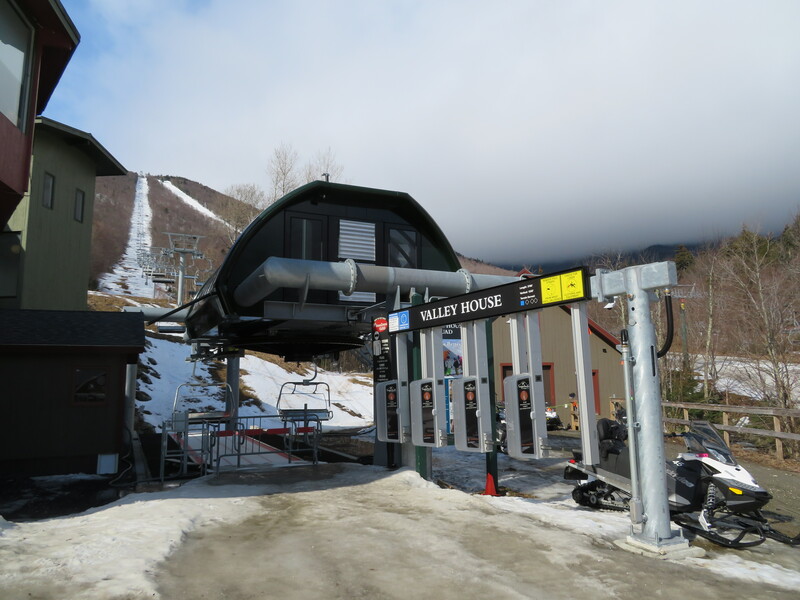 Bottom station adjacent to the old Valley House lodge. 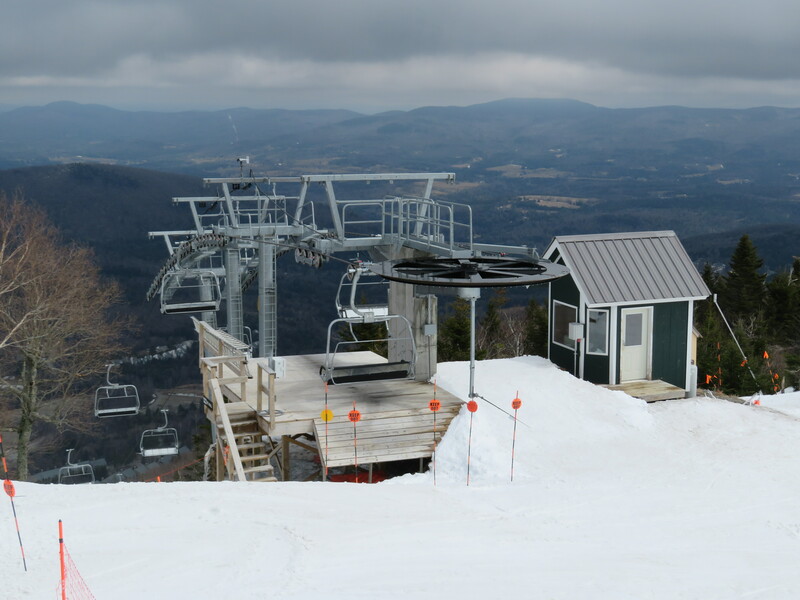 Combo assemblies on tower 8. 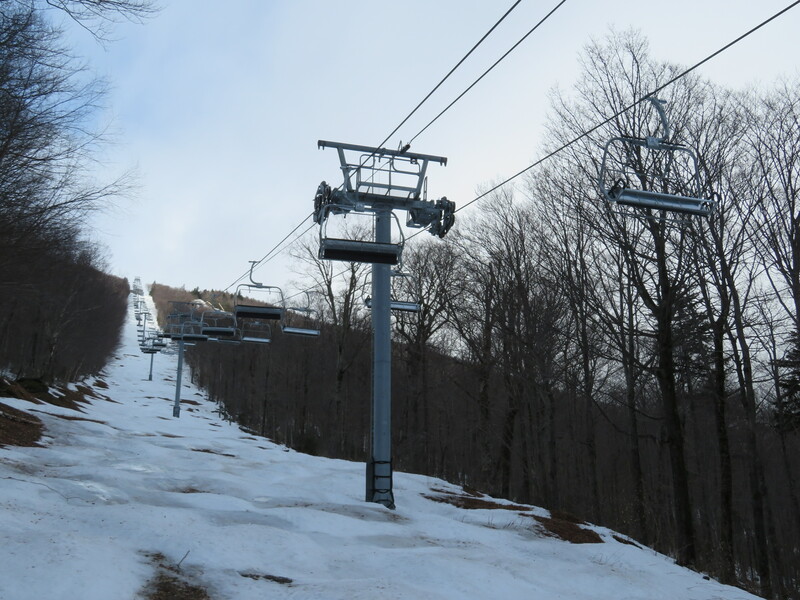 View up the middle part of the line. 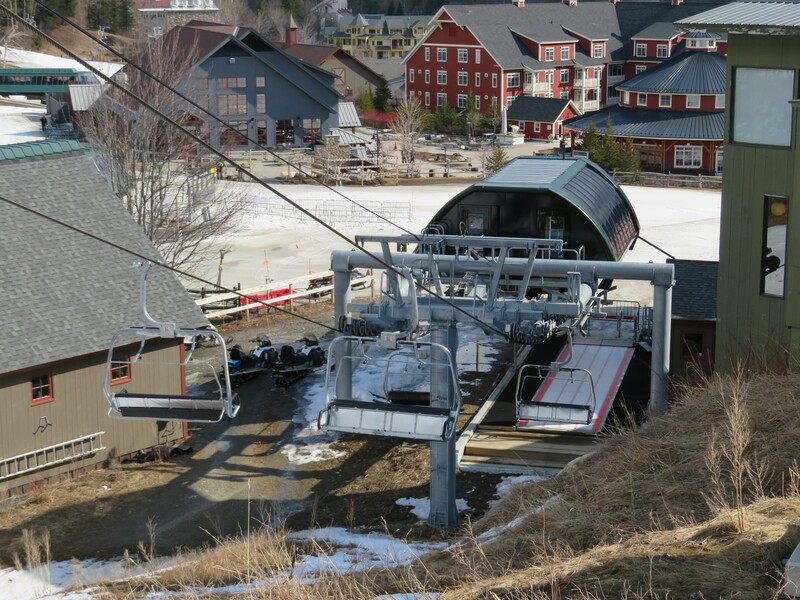 View down from the unload point.